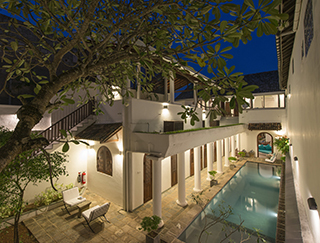 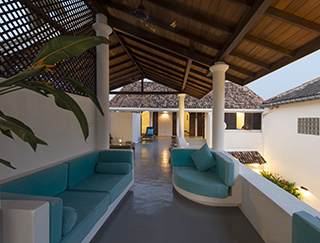 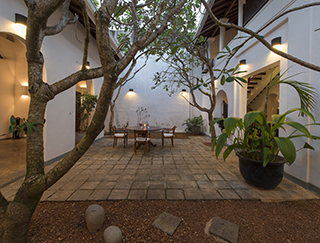 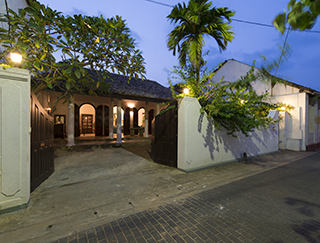 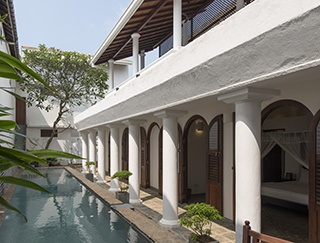 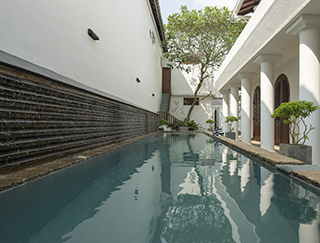 Ambassador’s House comprises two generously proportioned buildings seamlessly connected by a lush palm-shaded courtyard. 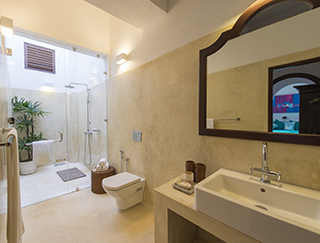 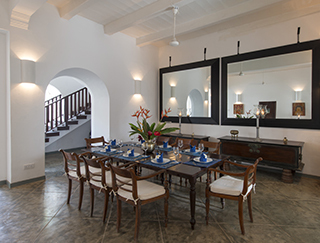 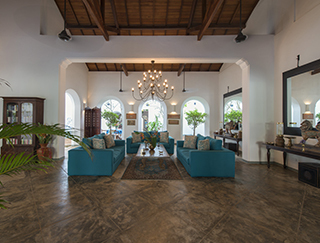 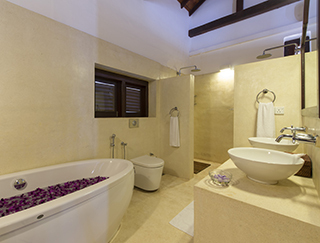 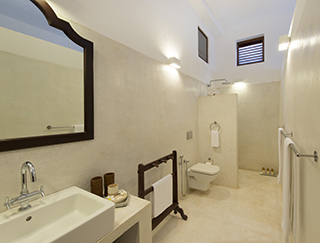 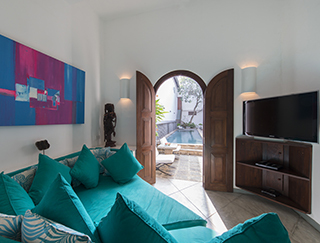 In the single-storey building at the front of the villa is the large and elegant living room, whilst the dining areas and five ensuite air-conditioned bedrooms occupy a two-storey building behind. 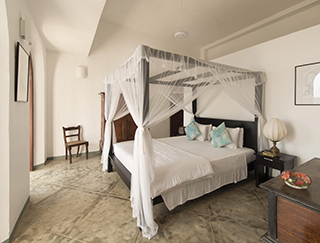 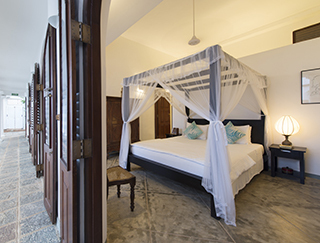 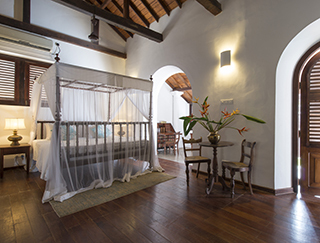 Three of these bedrooms open directly onto the pool through arched doorways whilst the master bedroom and a twin room are situated on the first floor, opening onto the roof terrace.